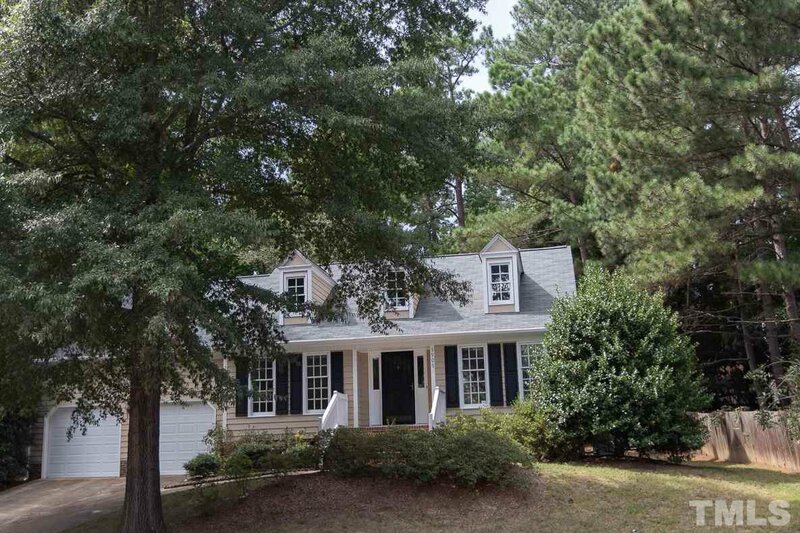 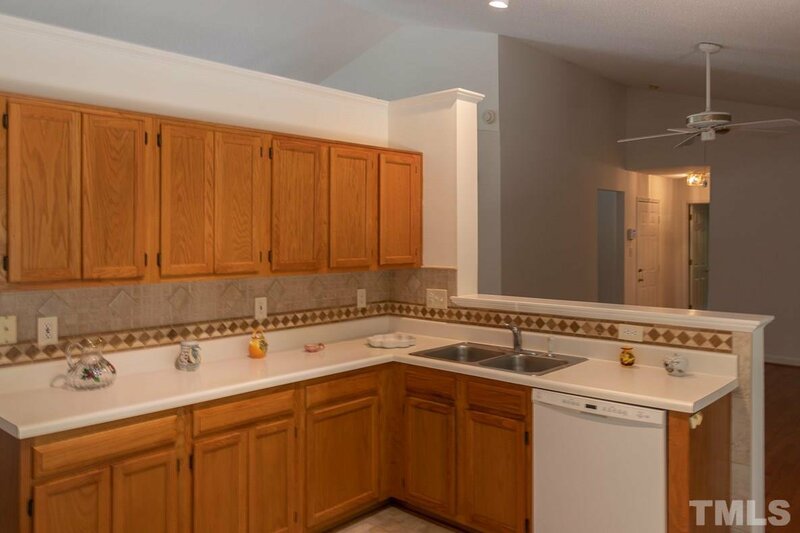 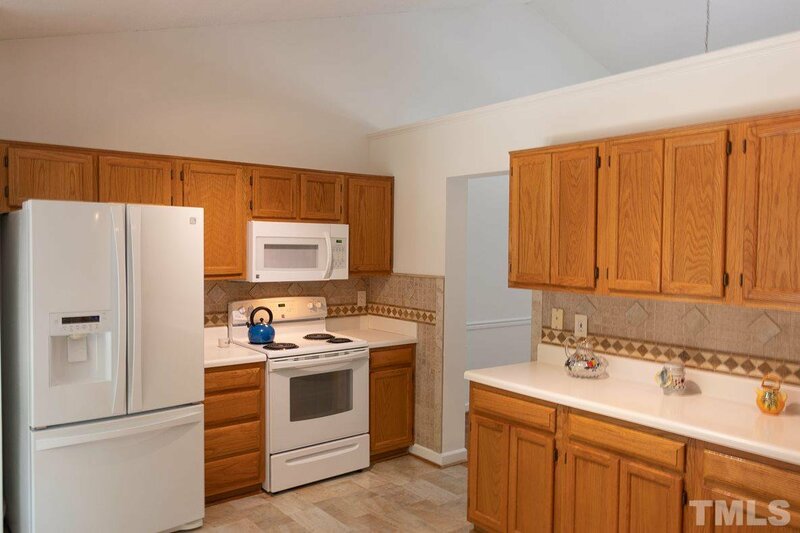 Sought after one level home (with a two car garage) in popular Woodlake in bustling SW Durham. 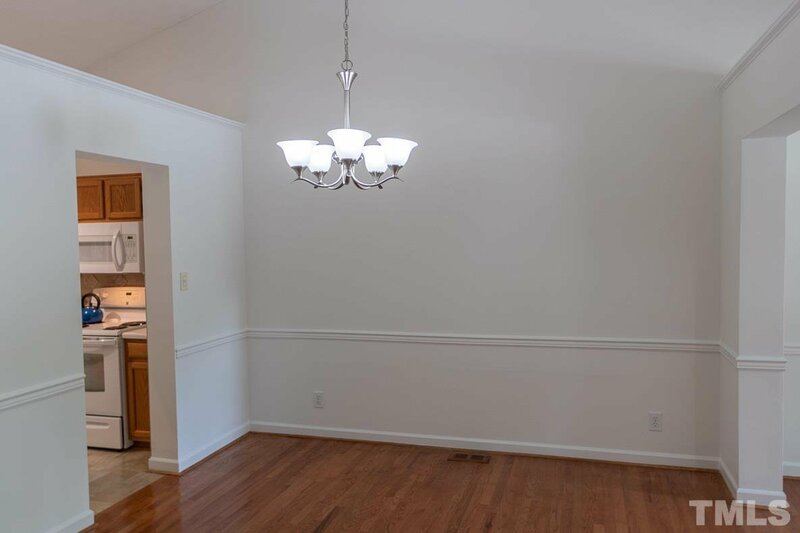 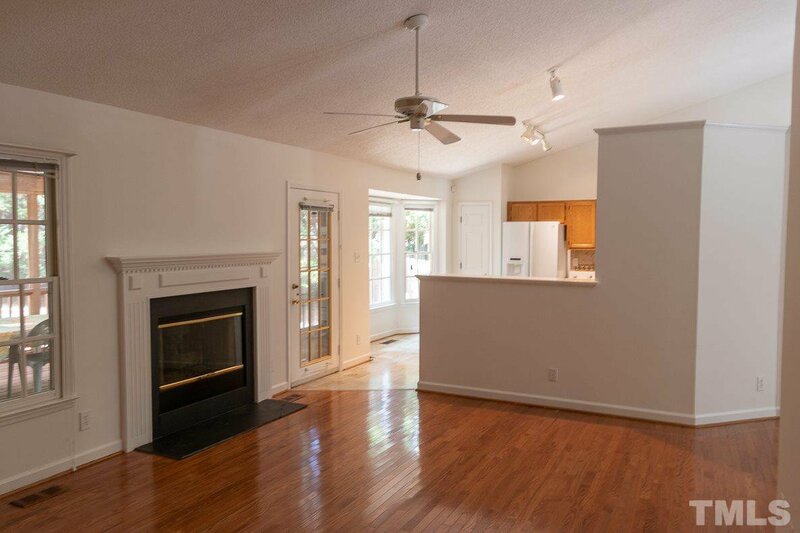 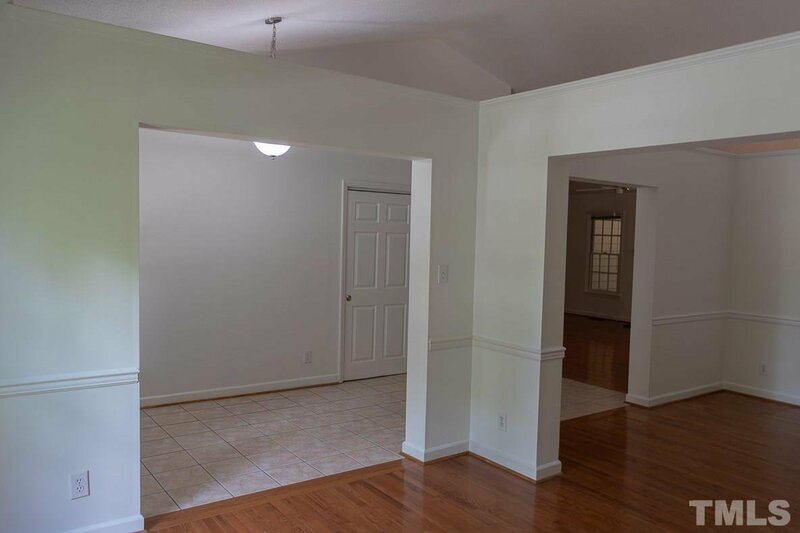 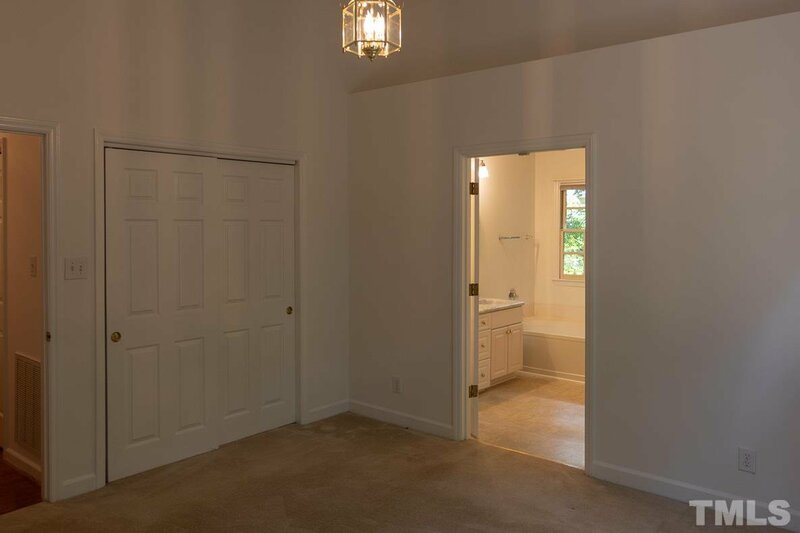 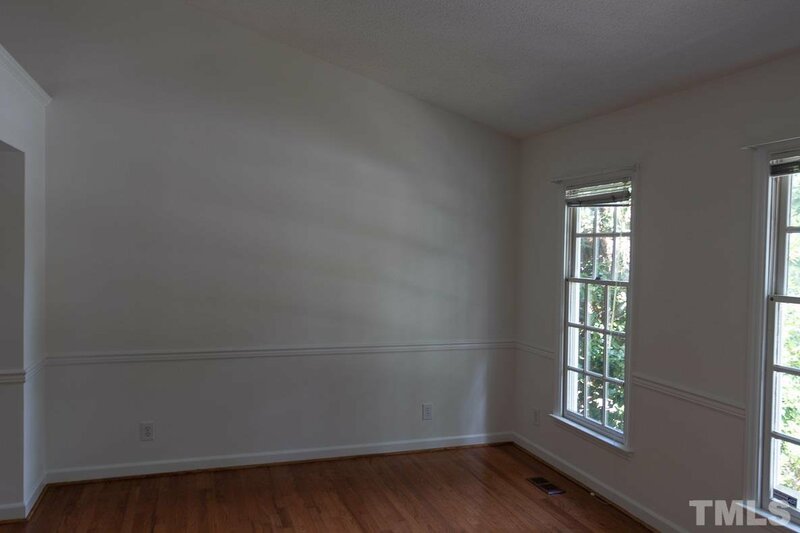 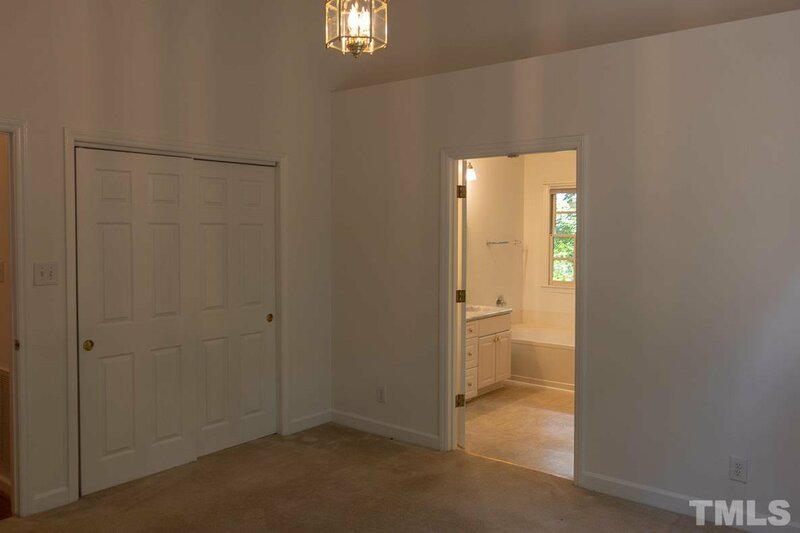 The open floor plan feature cathedral ceilings and tons of space. 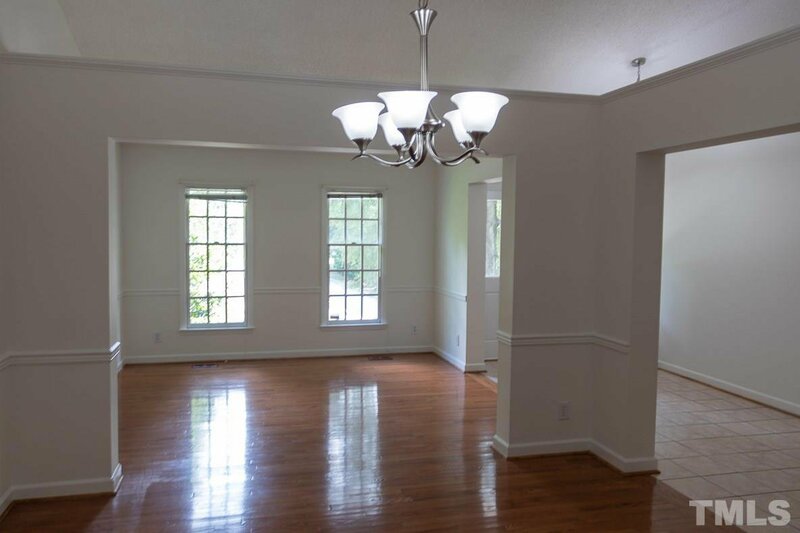 Formal living and dining room plus a family room (with gas log fireplace). 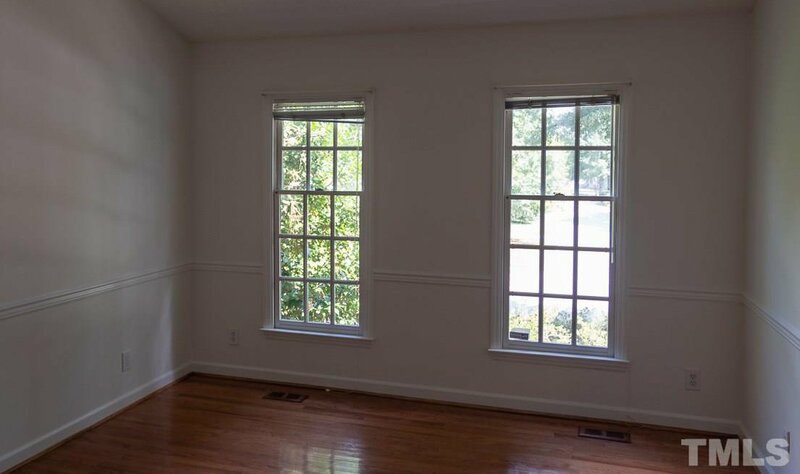 The roomy kitchen has a sunny bay window. 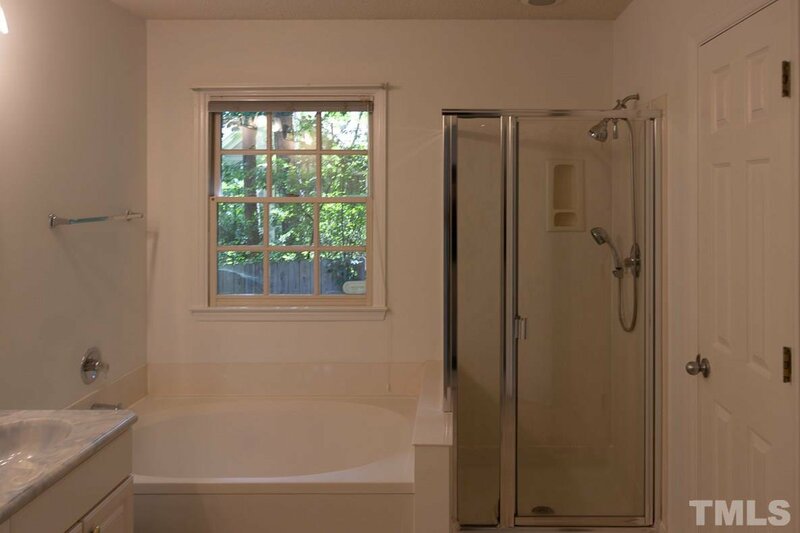 Private master with high ceiling and a terrific bath. 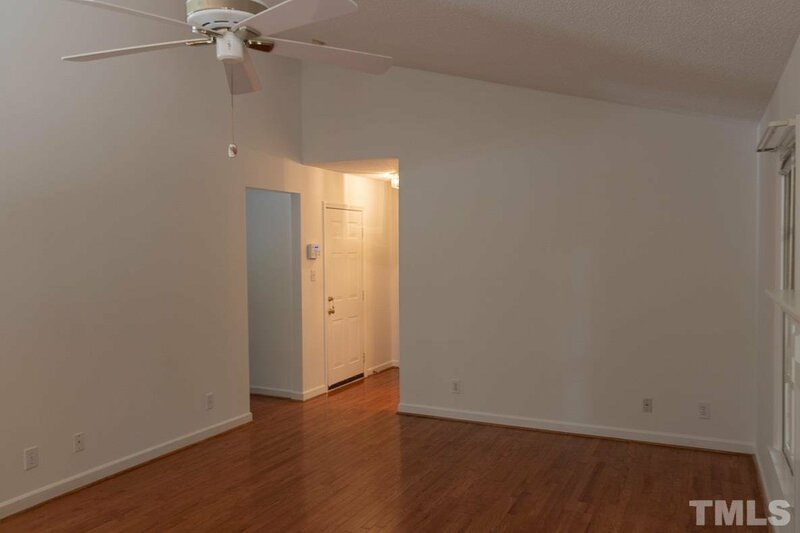 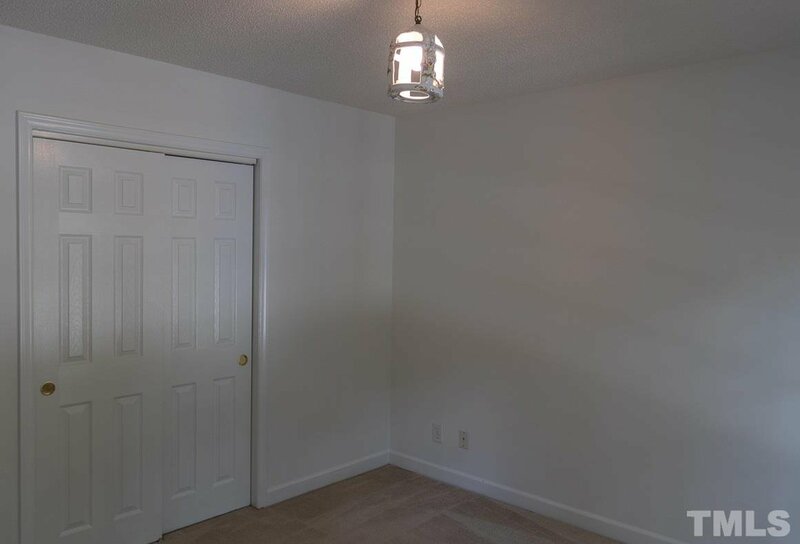 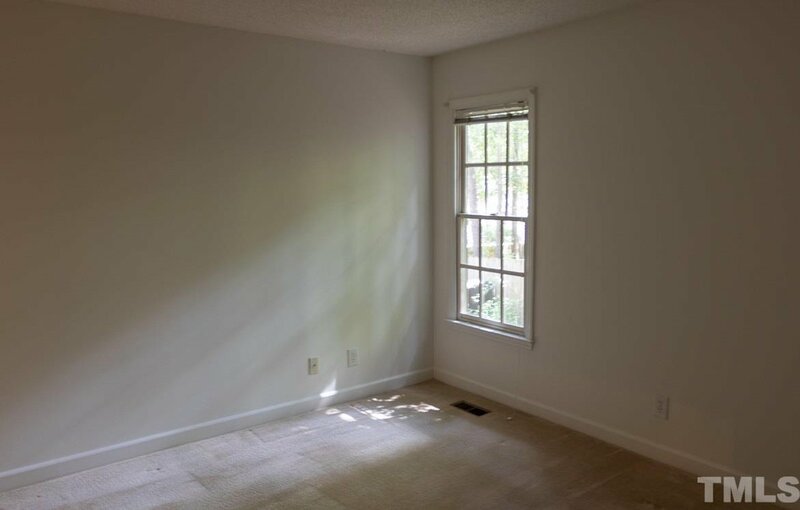 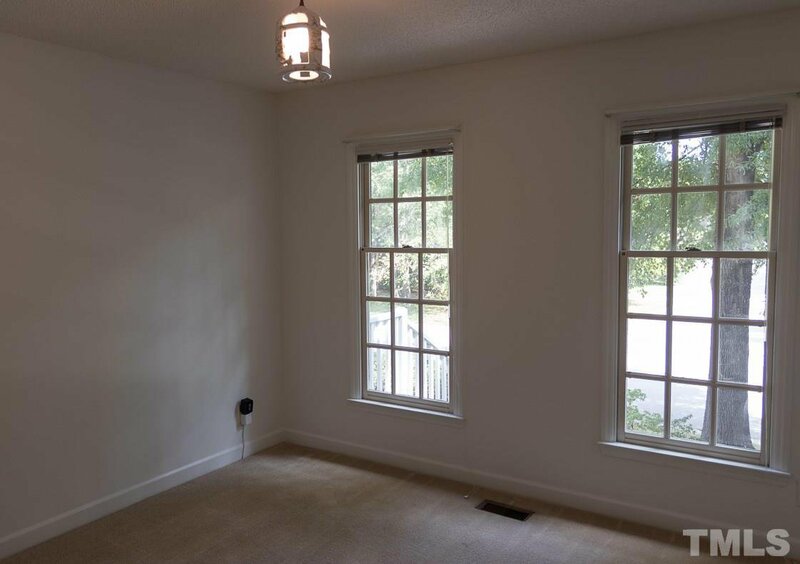 Two spacious additional bedrooms as well. 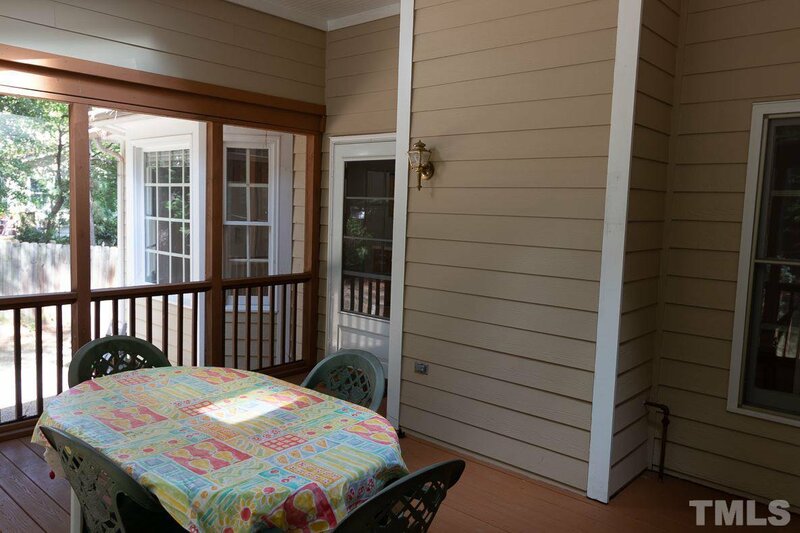 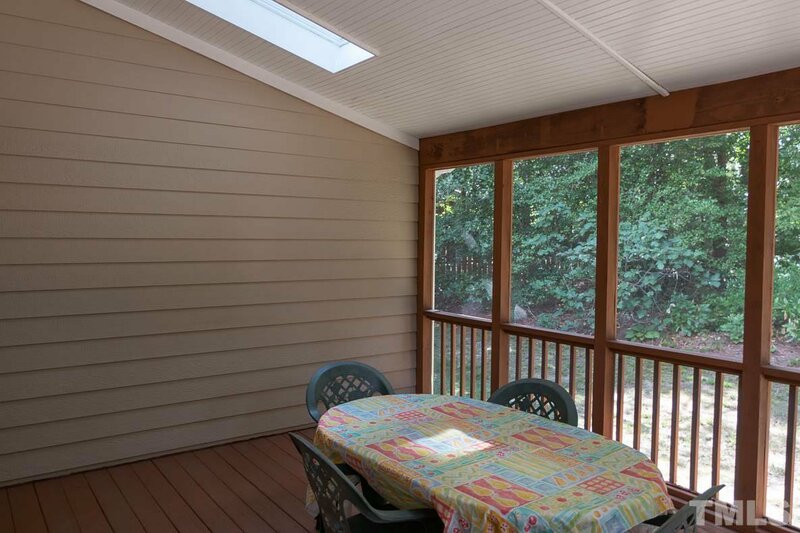 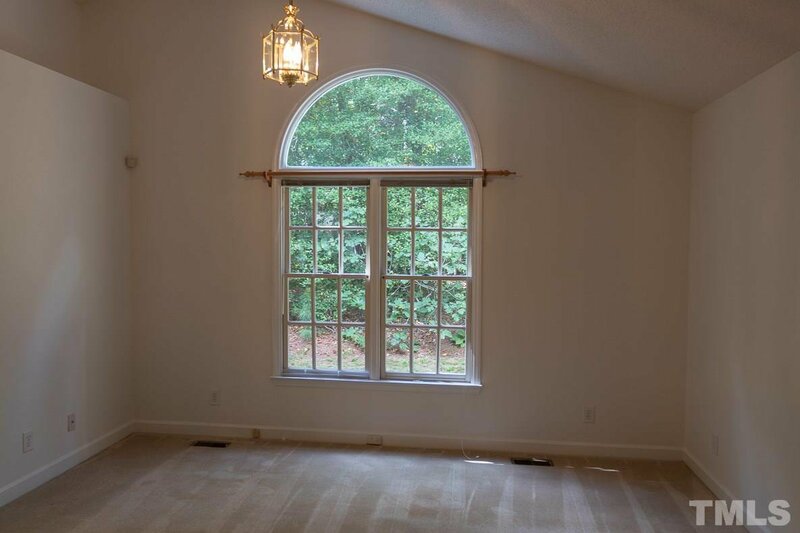 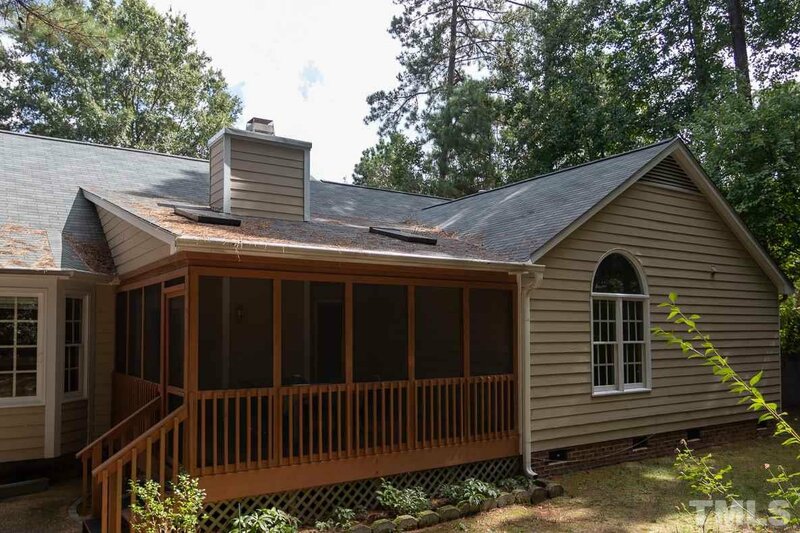 Lovely private screen porch (with skylights) and a patio over looking the big backyard. 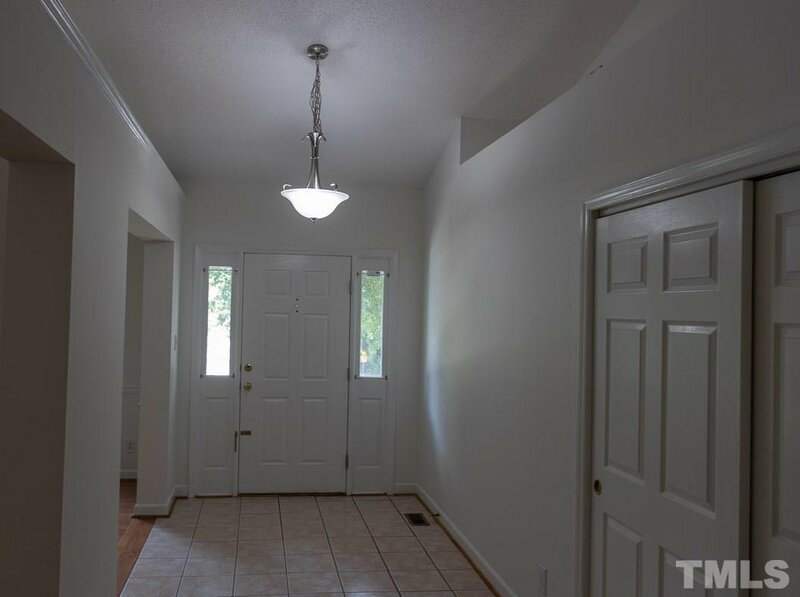 Great location close to everything.